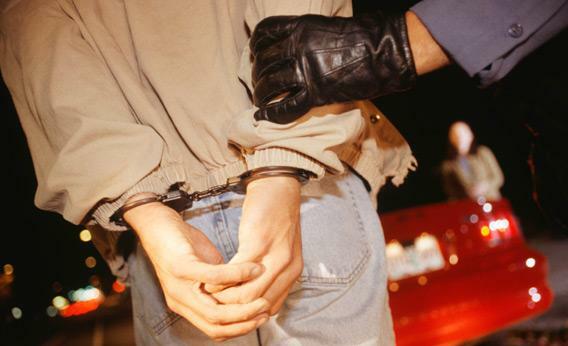 Disorderly conduct is a serious charge in Virginia that is regularly misunderstood. All too often a person accused of disorderly conduct does not understand the charge and enters a plea of guilty when the facts of the case simply do not support a conviction. As with any Northern Virginia criminal charge, it is vitally important to speak with an attorney early in the process and get an understanding of both the law and the common practices in the local jurisdiction. Disorderly conduct is commonly charged in Northern Virginia, but requires much more to prove than the name of the crime implies. In order to be found guilty of disorderly conduct, a person must, with the intent to cause public inconvenience, annoyance or alarm, or by recklessly creating a risk thereof, engage in conduct having a direct tendency to cause acts of violence by the person at whom the conduct is directed. A person may also be found guilty of disorderly conduct if while intoxicated he disrupts a funeral, memorial service, meeting of the governing body of any political subdivision of the Commonwealth, or any school, literary society or place or religious worship if the conduct disrupts the service or activity or has a direct tendency to cause acts of violence. Disorderly conduct is a class 1 misdemeanor. As such, it is punishable by a fine of up to $2,500 and a jail sentence of up to 12 months. Because the charge is a misdemeanor, it is not a pre-payable offense and if found guilty the conviction can not be expunged. It will remain permanently on a criminal record and can cause problems for background checks both for employment and for security clearance. The attorneys at Henson Pachuta, PLLC have extensive experience with disorderly conduct charges and can help you determine what defenses you have and what strategy to employ in your case. We offer free consultations by phone at 703-822-4701 or at our office at 4011 Chain Bridge Road, Suite 200, Fairfax, Virginia 22030. You can also contact us through our website and we will get back to you as soon as possible. Why do we offer free consultations? When you have been charged with a crime, it is one of the most stressful moments of your life. Most people are just not sure what to expect and what steps they should take. In one conversation we can usually determine what the likely outcomes of your case are what you can do today to get the best outcome possible. We got into this line of work because we wanted to help people. If we don’t think you need a lawyer, we will tell you so. We hope that you will still find our consultation helpful and will consider passing our name along to friends or family who find themselves facing a criminal or traffic charge in Northern Virginia some day. If we do think you would benefit from having a lawyer, we will tell you so. We can tell you about our particular qualifications and experience, and we hope that you will choose us as your lawyers for your case.